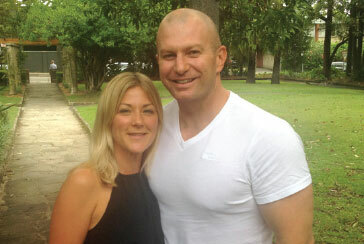 When Adam and Alison Smith moved back to Australia from the UK, they had to start from scratch. Adam’s financial career had not left him with any contacts in Australian banks, and Alison was giving up her income to care for their new baby at home. Adam set himself a goal: financial independence in three years. He spent a few months losing sleep and spending all of his free time sourcing property. By the beginning of 2014, the Smiths had completed two property deals. First, Adam found a three-bedroom, two-bathroom townhouse in Glenfield, Sydney for $409K. He rented the property for a net income of $103 per week, and by May 2015 the value of the property had risen to $595,000. Next, he purchased a four-bedroom, two-bathroom house in Morayfield, Brisbane for $340K and rented it just to break even. To Adam, it felt like he was spinning his wheels. Months of work and sleepless nights, and all he had to show for it was a pile of debt and a trickle of cashflow. He felt unfulfilled and discouraged. It was time to review his position and find new inspiration. When Dymphna asked him, “Why do you do property?” He surprised himself with his answer: “I’m just sick of being average.” That was when he realised what he needed to do: think big. Instead of the generic goal of “financial freedom,” Dymphna encouraged Adam to set specific numbers and dates so that his progress would be measurable. He then wrote up a business plan. Writing down his objectives forced Adam to make them clear and specific. This in turn allowed him to communicate his vision to an experienced developer, and thus a firm and profitable partnership was born. With Adam sourcing opportunities and his partner providing development expertise, Integral Investments was founded. They looked at nearly 200 sites around Sydney, Brisbane and Melbourne and eventually settled on two blocks totalling 68,000m2 in Logan Reserve. The price of the land was $5.2 million, with a 5% deposit up front and a settlement term of 10 months. Adam and his new company didn’t have that much cash on hand, but they went ahead with the deposit anyway and then set off to find equity partners. They needed $1.5 to $2 million in cash to complete the purchase and $13M in financing for the development. Unfortunately, Adam’s lack of development experience made his proposition too risky for equity firms to consider. He received dozens of rejections, but every meeting taught him how to sell his ideas better. The eventual break came from an unexpected direction. A director of Westpac told Adam that his bank wouldn’t back the development, but he liked the deal so much that he would put up his own money. With the new equity partner on board, the deal was funded. It didn’t take very long for the Logan Reserve development to pay off. The developers subdivided the land and began a staged release of lots for sale. Stage One, with 28 lots, sold out in a matter of days. Stage Two was released recently and is already 70% sold. When all four stages of the project are completed and sold and the equity partner and lender are paid off, Adam and his partner will be left with $5.4M in profits from the development. But even with $5m in the bank, it won’t guarantee Adam the positive cashflow he’s looking for, and if he books all of his profits, he’ll be liable for a huge chunk of tax. So Adam’s strategy is to use his share of the profit to buy four lots in the development at wholesale and build on them. He will then rent the new houses for a total of over $100K in passive income and leverage their equity of $1M to take forward to his next development deal. Adam hasn’t quit his day job just yet, but he’s well on his way. The Smiths have made one major lifestyle change though: moving out of their Sydney apartment and purchasing a new home at Avalon Beach – a new home to welcome a second child. Meanwhile, Adam is starting on his next major development in Rochedale. As for the rest. Work with honesty and integrity. Choose your partners wisely. Build the right team, both personally and professionally. Push through your mental limits. Expect the unexpected. Think big. Don’t be afraid to ask questions, especially stupid questions. From a business perspective, he recommends writing a business plan to be really clear on your goals and strategy. From a personal perspective, he recommends being grateful for every day. This is the attitude that has got the Smith family to where they are today.